Intensive support for pupils and embedded wraparound support for schools are part of our holistic service that aims to improve wellbeing at school. Over the last several years, as we have delivered intensive support programmes to pupils across London, we have seen the difference that the presence of an independent, specialist support worker, based in the school and with reach into the local community, can make. Kineara’s wraparound school support offers schools, and the pupils and families that come to school everyday, that little extra care that helps create a nurturing learning environment for everyone. Whether it is providing a time for parents to find holistic support for challenges at home, or a confidential space for staff to help improve wellbeing; delivering parenting workshops or confidence-building sessions for children, we draw on practical know-how, therapeutic approaches, strength-based confidence building and meaningful connections to the right kind of additional support. Our wraparound support evolved from Kineara’s experiences of working with families facing the greatest challenges. We have supported people to address rent arrears and avoid evictions, find additional financial support, navigate benefits and support services, and find health care. At the core of our work is the belief that a turnaround happens when relationships are strengthened, so nurturing healthy relationships between pupils and their families, and between pupils and their school and all the staff, is what we believe makes the most inspiring and supportive learning environment for young people. Our intensive 1:1 programme, Motivate to Educate, works with school pupils over 15 weeks both in school and out. It gives children and young people tools and strategies to address their own personal barriers and motivate themselves to get the most out of their education. Its success lies in its ability to engage families, teachers and anyone else important to a young person’s learning and aspirations. M2E works with pupils aged 4–18 to explore their understanding of education and build on their ambitions. School-phobia, anxiety, depression, problems at home, bullying, behaviour problems and learning difficulties can make school a challenge for children and young people. 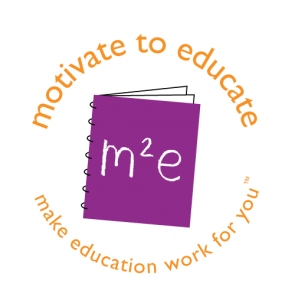 Motivate to Educate (M2E) gives children and young people tools and strategies to address their own personal barriers and motivate themselves to get the most out of their education. Its success lies in its ability to engage families, teachers and anyone else important to a young person’s learning and aspirations. Introducing Motivate to Educate from Kineara on Vimeo. We specialise in working with young people who are living in families with multi-complex needs. They could be facing problems that the school has little awareness about, or they simply do not have the resources to oﬀer more support. M2E is an option that can support those children and families who need more time to work through the challenges they face. additional parenting support workshops, and other school wellbeing activities tailored to the need of the school and delivered by a dedicated support practitioner.We have supported both teachers and parents with mental health needs, to address housing issues, and find job support. We connect families with public and community services and can provide practical help to resolve hidden challenges. In the process, we relieve burdens on families and staff so that children and young people can grow in a supportive environment which stimulates their aspirations. Knowing I had someone I could open up to, and developing tools to communicate better with my daughters about issues eﬀecting all of us, was so important for me. It’s been fantastic! x3 M2E 1:1 intensive support programmes for pupils and their families. Weekly confidential parent’s drop in, for wellbeing and practical advice. Weekly confidential teacher and school staff drop in for wellbeing and practical advice. Open workshop series for both parents and the school community, on topics such as family wellbeing, child development and parenting techniques. A specialist and dedicated school-based practitioner who become part of the school community, and plays the connecting role between pupils and families, families and school, and school and its staff. Flexible and integrated support that is tailored to the school’s needs. For more information about how our education support could work for you, please contact us. Kineara Summer Brunch – thanks to everyone who took part!